DigiTech Controls and Automations (DCA), a innovative solutions provider in the field of Industrial automations, is managed by a team of experienced engineering professionals. 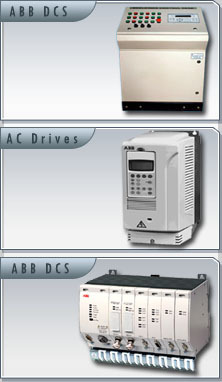 Design, Engineering & Supply of Motor Control Centers & Local Control Panels. Customer base includes industries like Automobile & Material Handling, and process industries like Cement, Ceramic, Food Processing, Paper & Pulp, Pharmaceutical, Steel etc. Refer to the detailed customer list attached with the profile. Services include applications like Boiler automation, Dam Automations, Furnace automation, Special purpose Machines, Test Rigs, Stacker and Reclaimer, Substation automation SCADA etc. Every engineer in the DCA possess hands on experience in industrial automation and instrumentation field. Also, necessary expertise to understand the customer needs and provide solutions which meets international standard requirements. DCA has a state of the art facility spread over 2300 Sq feet at Ambattur Industrial Estate which houses fully equipped Design office, Management office and a conference room. There is also an in-house assembling and testing floor for the panels. DCA have a tie-up with Automation Technology Products division of ABB and is a authorised channel partner for ABB’s automation products like mini DCS, PLC, SCADA, Drives and Softstarter systems.